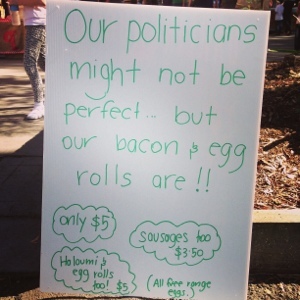 Election Day in Australia means one thing – democracy sausage. 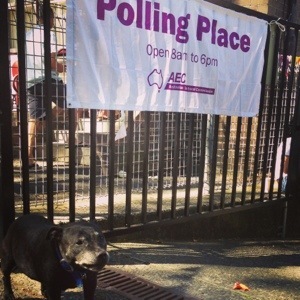 Voting and sausage sizzles are now permanently linked in the Australian imaginary. The excellent snag votes map is a crowd sourced map of which booths have sausage sizzles, cake stalls or other delights. Choose wisely. This year my booth went above and beyond with a wonderful fete. The booth is Darlinghurst Public School – a lovely inner city public school which clearly has a very active group of parents. Polling goes from 8am to 6pm (voting is compulsory). 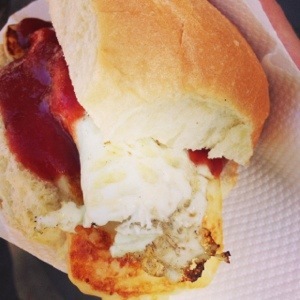 The most important part; the sausage sizzle or in this case the haloumi & egg sizzle. 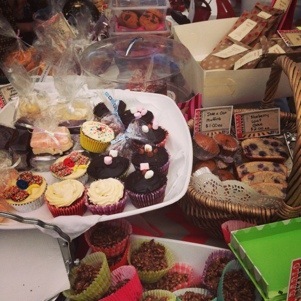 The cake stand was very impressive with an enormous variety of cakes, cookies & more – all home made. 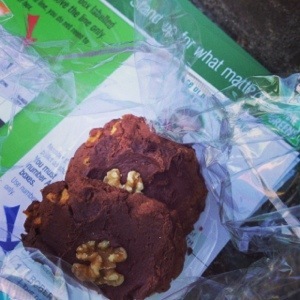 I had these wonderful afghan cookies for morning tea. 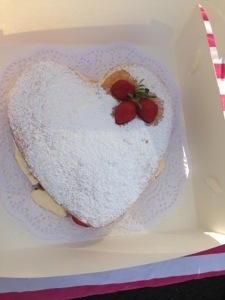 Gorgeous Victoria sponge, very tempting. 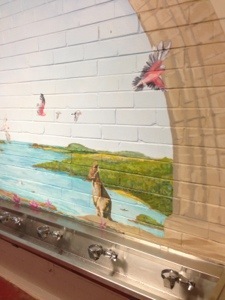 Really cute murals above the bubblers, wish my primary school was like this! 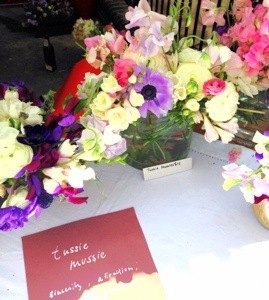 There were also pottery stalls, clothing, paper craft and this amazing flower stall with ‘tussie mussies’ – mixed posys which have special meanings & are intended to be given as gifts. Lovely. 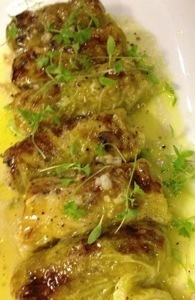 The gorgeous Berta on Alberta Street in Sydney city has regular ‘Sagra dinners’ on Wednesday nights. A sagra is often dedicated to some specific local food, and the name of the sagra includes that food; the array of gastronomic specialties covered across Italy is amazing: for example, we find a Festival delle Sagre astigiane, a Sagra della Rana (frog) at Casteldilago near Arrone, a Sagra della Cipolla (onion) at Cannara, a Sagra della Melanzana ripiena (stuffed eggplant) at Savona, a Sagra della Polenta at Perticara di Novafeltria, and so on. Among the most common sagre are those celebrating olive oil, wine, pasta and pastry of various kinds, chestnuts, and cheese. BRB, adding those all to my to do list. Anyway, the Berta Sagra dinners follow this formula, 4 courses for $55 all based around and featuring the theme ingredient. Four courses ends up normally being about 7 or 8 dishes, so it’s a bit Iron Chef <Ingredient>. The farmer who sells them the ingredient is often on hand to give you a little lecture about the produce too. There are also matching wines for an extra $30. The most recent Sagra I went to was of my beloved brassica leaves – species including broccoli, cabbages and brussels sprouts and kale. All the most delicious things! It’s super dark in there so had to pinch some of the pics from Berta’s facebook page. 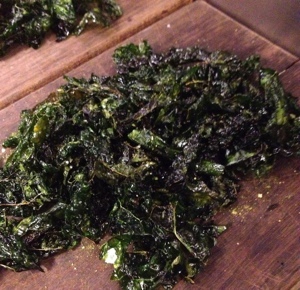 crispy cavolo nero fennel salt – like the best kale crisps you ever had. 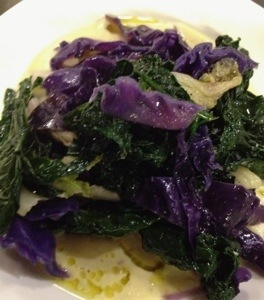 coronet cabbage roll mushrooms chinese cabbage – this dish was the standout. Something so simple and yet just exploding with flavour (and butter), the silky cabbage with its slight char was magnificent. Side of brassica leaves to go with your brassica leaves? Yes. Too much is never enough. 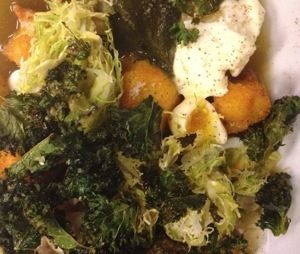 crispy polenta parmesan broth buratta quail egg kale – every single one of those words is a poem. Would eat this ten times over. 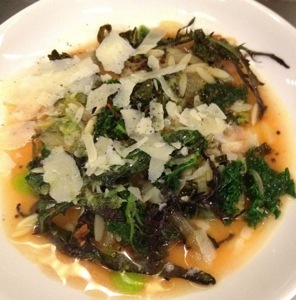 minestra risoni horseradish red elk – this little soup with parmesan and textures of cooked kale and rawer red elk lettuce was lovely. 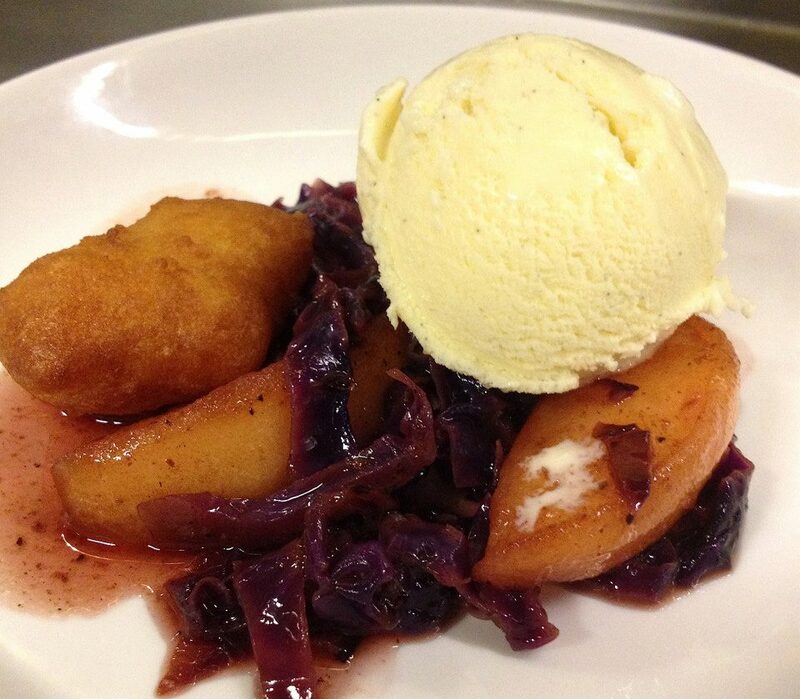 spiced granny smiths fritole mascarpone gelato – classic red cabbage and spiced apple. This reminds me of the stewed red cabbage and apple I had in Belgium as a child. Something so perfect about the flavour combination, and love it as a dessert. Upcoming Sagra are on their website here.